In semi-arid parts of Southern Africa, such as Namibia, water resources are already under pressure, and things will get tougher in future as the climate becomes hotter, drier and less predictable. To help manage water resources, since the 1990s governments across semi-arid Africa have introduced decentralised water reforms. Decentralisation aims to shift responsibility for water provision and management across levels so that local actors are also involved. In reality, though, decentralisation has not had the desired impacts of inclusive water governance and effective participation. This is because decentralisation efforts have paid insufficient attention to strengthening the capacity of local actors. 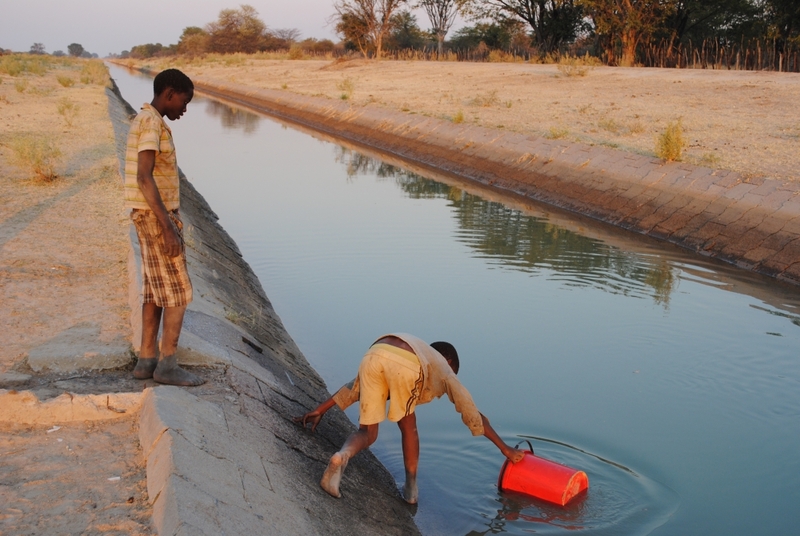 Lessons from ASSAR’s research in rural villages in north-central Namibia show how decentralised water governance is not effective without proper support for citizens. Expecting local management and participation without providing support on how to participate can actually make it more challenging for vulnerable communities to access and manage water. the implications of this for policy and practice. It also provides an insights into participatory water appraisal and how ASSAR have gone about understanding day to day water used in three communities. *Download the full brief by clicking on the "Featured Download" in the right-hand column. Governments need to find appropriate and inclusive ways to manage a resource as scarce and susceptible to change as water, especially since future climate conditions are set to put more pressure on water resources. Decision-makers need to understand the unique context of each community. There needs to be a clear understanding of all actors who have a stake in water governance and a plan for finding a balance between supporting engagement and empowerment. Stakeholder mapping and analysis of where power lies can be used to shift towards more integrated planning among groups with different interests. Participatory processes demand inclusion. But in reality they often exclude significant groups of people. Policymakers and practitioners need to pay attention to social differentiation and who is able or unable to participate in governance, with particular consideration for the poor and marginalised. This requires an understanding of how factors like gender, age, wealth, education level, and ethnicity impact people’s ability to take part. If the capacity of local actors is not carefully assessed and strengthened before introducing decentralised reforms, these reforms will have a high chance of failing. Technical solutions to adaptation problems often have an important role to play. But to be implemented successfully they need to be paired with effective participation from local actors. It is important to understand the feasibility of technical solutions, how the local context affects their uptake, and how to enable people to use them properly. New approaches to governance are needed to support effective participation of different groups that might contribute to more sustainable use of water resources. Such approaches require the creation of platforms that enable people, especially those typically excluded, to have their say about decisions that affect them and allow for input on whether solutions to water challenges meet their expectations. For people who take part in managing water resources to do so successfully they need be supported and empowered to fulfil their responsibilities. Read "Using Transformative Scenario Planning to think critically about the future of water in Omusati, Namibia"
Bosworth, B., Hegga, S. and Ziervogel, G. (2018) When participation is not enough: Lessons from decentralised water governance in Namibia. ASSAR Briefing Note.